Foundation cracks can occur even after you have diligently performed every foundation leak detection and prevention measure recommended such as maintaining the perfect grade away from your foundation, installing a sump pump that features a battery back-up and cleaning out your gutters. Knowing what causes the occurrence of foundation cracks, what else to watch out for, and the process of repair is important since it might help to prevent you from unnecessary worry and panic. Several different factors can contribute to foundation damage in Austin. Loose soil, overly dry or wet soil, inadequate drainage, poor construction, earthquakes, and frequent changes in temperature can all cause foundation cracks. However, flooding is the most common cause of foundation damage, and regardless of how proactive you are with your waterproofing or foundation plumbing repair efforts, no house is entirely safe from the dangers of flooding. Shrinkage: These types of cracks are generally found in houses with poured concrete. Horizontal: Soil or water pressure cause this type of crack. Settlement: This kind of cracks occur in most homes. However, their size and location determine both severity and extent. 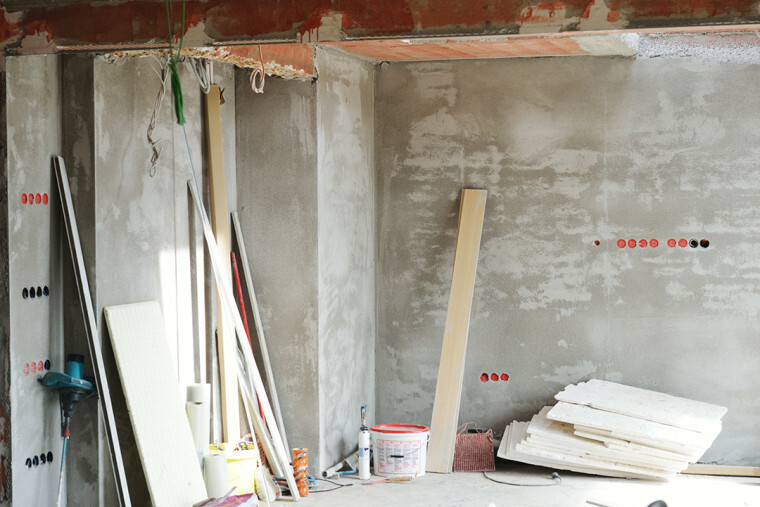 Foundation cracks usually pose a potentially dangerous problem, and both poured concrete and block foundations can develop cracks because concrete and mortar shrink as they dry. While monitoring crack width is the best way to avoid major repair works, you should start by carefully checking every 90-degree corner in your house since this is where cracks often originate. Use a ruler to accurately measure the width and check again to re-measure. If the crack starts to widen at one end, it might be a sign of trouble. For safety concerns, you should get an engineer to evaluate anything ½-inch or wider. Because a horizontal crack appearing in the bed joint of a concrete block or brick wall signals a major breakdown, it should not be ignored. Pressure from the soil behind is pushing the wall to a bending or breaking point. Wind pressure, an insufficient number of wall ties, and corroded ties can also cause the bending of a wall. You must quickly address the root cause of horizontal cracks to avoid structural collapse. A vertical crack is just as bad as a horizontal crack. While cracks that are wider at the top generally indicate a dropping foundation and heaving center, cracks wider at the bottom usually mean a heaving foundation and dropping center. Either situation requires the attention and evaluation of a structural engineer. Fortunately, some cracks are more aesthetic in nature and won’t hurt if left untreated. Angular cracks often occur in the top 12-16 inches of brick walls laid directly on concrete foundations. Brick expansion during summer and the pushing of outer foundation corners cause angular cracks. You do not need to call in an Austin foundation plumbing repair company if you notice angular cracks since apart from being relatively harmless, they will most likely occur every single year as temperatures rise. In the upper levels of your house, cracks can appear above windows, doors, and archways. Although such cracks can be a sign of settlement, they are mostly simple relief joints. The size of these cracks will most likely change with temperature variations. You can, however, control these harmless eyesores by running a dehumidifier during summer and a humidifier in the winter. Basement floor hairline cracks are quite common and mostly affect only the appearance of homes unless they widen to half an inch or more. Hairline cracks usually start at 90-degree offset corners and radiate into the room. Waiting for about a year for this type of crack to finish growing before you fill it in with hydraulic cement or urethane caulk is the best course of action. If you’re concerned about your foundation starting to crack, and the best options to fix the problem, call the team at Accurate Leak and Line!